Lemongrass has a heavenly lemonesque aroma that includes a whiff of ginger and the heady scent of tropical flowers. Think of it as a wonderfully delicate perfume for your food. While it can be delicious with most anything, lemongrass shines best when used with chicken, seafood, and tofu. The flavorful part of lemongrass is the lower part of the stalks, and it is usually sold with the leaves and upper stalks removed. Look for lemongrass that is firm and pale yellow-green with a bit of a bulb at the end. The top of the stalk should look relatively fresh; they tend to dry out quickly so they may not look like they were just harvested but they shouldn't be browned or sad looking. Store lemongrass loosely wrapped in the fridge for up to several weeks. Or, wrap it well and freeze it. If you're going to freeze it, consider chopping or mincing it and then freezing it in 1-tablespoon bits (an ice cube tray is useful for this—freeze until hard and then transfer to a sealable plastic bag for longer-term storage), so it's ready to use and you can simply throw it into marinades, dressings, and stir-frys right from the freezer. Lemongrass is most often used in 1- to 2-inch pieces in soups, stews, and teas. Just add the trimmed pieces of lemongrass stalk and leave them in the soup or stew until it imparts as much flavor as you want. Be kind to your diners and remove the pieces before serving since they tend to be woody and don't make for the best eating. Lemongrass can also be minced and added to stir-frys or rubs for grilled or roasted meats or seafood. 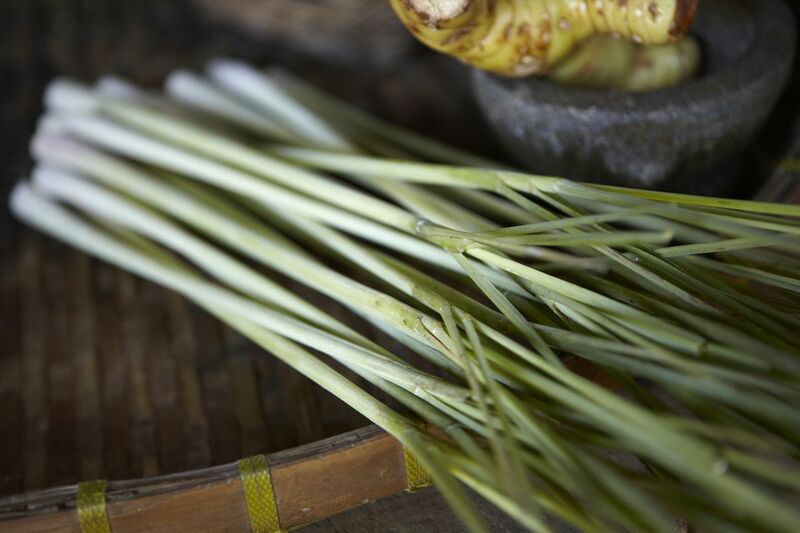 Use only the bottom few inches for mincing and remove the tough, woody outer layer of the stalk, since that it the most tender part of the lemongrass stalk and will keep your dish from having woody-seeming bits in it. You'll also need to truly mince it into teeny tiny pieces because even that more tender core can be quite fibrous. Whichever way you use it, know that the longer you cook lemongrass the more intense its flavor becomes. For a flavor that is as light and delicate as its scent, add lemongrass towards the end of cooking. Lemongrass is usually used as part of a larger flavor profile, as in Sambal Roasted Pumpkin or Sweet Potato Broccoli Curry, but it doesn't always need to take a backseat to garlic or ginger or chiles. Coconut Creamed Corn takes full advantage of the delicately aromatic nature of lemongrass. How Can You Use Rosemary in Cooking?